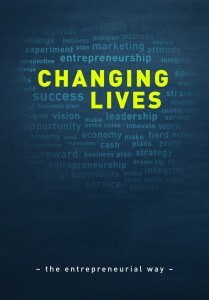 After interviewed almost 30 different entrepreneurs in 16 different countries for the book “Changing Lives – The Entrepreneurial Way”, I have heard a thing or two about mentoring and the importance of a mentor. A mentor could be the one thing you do that can make you a success. The magazine Entrepreneur is having a lot of articles about mentoring an entrepreneur. AYELE SHAKUR is Executive Director of BUILD Greater Boston and she is saying in the magazine Entrepreneur that many people question whether they have enough experience to be a mentor. Generally speaking she say, if you have professional work experience or have been in the trenches as an entrepreneur for over a year, then you have what it takes to be a good mentor and pass along your knowledge and insights to the next generation. Mentors come in all shapes in sizes. Some are seasoned professionals, some are serial entrepreneurs, retirees, recent college grads and everything in between. What most mentors have in common is that they care about youth and are passionate about giving back. If you want to read my book, you can click on the book cover and order it.